I was so wrong. You see, I don’t have the Mom gene. I tried explaining to a four year old why he could not play with my antique matched jade bead necklace. My sister shook her head and handed him her necklace. My sister could hand one a crayon while preventing the other one from dumping a bible on the floor. One ate two bags of snacks and the other handed his bag back to me stating “I don’t like these.” I thought every kid liked Goldfish. You see, I don’t have that Mom instinct. I never had kids, so if I ever had that gene I did not develop it. And while I might be able to deal with one toddler at a time, I’m woefully inadequate in handling two. Sometime I feel inadequate as a writer. I can put the words together, but it’s not always the ones I should be using. I find it difficult to write the emotions. And sometimes I just can’t get the setting right. This is very difficult for a perfectionist. I’d like to believe everything I put on paper is perfect and will not need editing. But as fellow writers you know the perfect sentence is as rare as a perfect gem stone. Writers don’t edit because the sentence or paragraph is lousy. We edit to make the story better. To flesh out characters. To include another perspective. Or to evoke an emotion from the reader. Like being a good Mom, learning to honestly review your work and make the corrections takes time and patience. It requires determination and hard work. But are we willing to invest the same effort into being a great writer as we do being a good parent? It is a choice. I’ve been contributing to this blog on a semi-weekly basis for a few years now and I’m not sure if folks really know what I do for a living. I’m a writer! (laughs maniacally) Nah, I wish I could do this full time as a career, but alas, I am only a lowly pharmacy manager. I lead a rag-tag, motley crew of some of the best technicians a boss could ask for. We spend the majority of our days trying to figure out what drug what insurance will pay for and what ridiculous code we have to put in the computer to get everything to work out right. The rest of the day is spent trying not to mess up someone’s prescription. Strangely enough, it is at this hectic job that I get the best writing done. Whether it is the few moments in-between phone calls, or during a slower Saturday shift, I can usually bang out a few hundred words. Who knows, maybe years down the road things will work out where I could actually write professionally. Or, maybe…hold on, I gotta take this call. I disagree with the Bard of Avon. A rose by any other name would still smell as sweet may not smell as sweet. What if we called the rose a daisy? Would it smell like a rose or like a daisy? Can a Magnolia smell as sweet as a rose? If I handed you a lilac would you envision a rose? Names mean something. If I introduced two men in a story as Butch and Allen but did not describe them, could you picture each man in your mind? I see Butch as a big, burly man with a loud voice, and less than perfect manners. He’s not a bad man. He lacks polish. Allen is mild-mannered. He tends to fade into the background. He’s neither handsome nor ugly. He’s just average. Monique is exotic and beautiful. Delilah would be desirable and devious. Would you name your daughter Jezebel? Or would you choose a name like Elizabeth or Mary. Let’s be honest, a name has positive or negative reactions. We have prejudices against certain names based on experiences, history, literature, and movies. When we are writing a story, how careful are we in naming our characters? Do you ever get half way through the work and suddenly decide the hero’s name is wrong? Do you make the change or keep the name that doesn’t seem right? If I can’t be comfortable with the name or can’t warm up to it, I’ll change the name. If I am not happy with the character’s name but hold on to it, I risk creating a negative response from the reader. Names are important. That’s why we spend time researching character names and names of the location. We want our characters to enhance the story; not detract from it. Ah, romance. The book shelves are full of romance novels. Poets extol the virtues of love and commitment. Cynics decry the emotion, calling it a crutch and an opiate for fools. I like to view love as something very special. But despite varying opinions of what love is and the part it plays in our lives, love stories are popular. And there are so many variations in the genre. Straight romance…boy meets girl, boy woos girl, boy gets girl. Then there’s romantic suspense…girl is in trouble, boy rescues girl, boy marries girl. Add paranormal romance, magic, war stories, western romance, “adult” romance, and you have almost unlimited story lines. Poetry, song lyrics all extol the virtues of love. And then you have the broken romances, stories of love gone bad, and broken hearts that are mended by a new love. Face it, love sells. So write that romance. You just might find a whole new outlet for your talent. A writer’s job never ends. When you’re not writing, then you are probably thinking about writing. Our characters and stories are not familiar with the term “taking a break.” They constantly ramble around in our head, or at least mine do. When you need a break from the life stuff and you need to turn off the story sparks in your head for a few minutes, think about listening to Podcasts. I’ve got into the habit of listening while I get ready for work every morning. Here are a few of my favorites. Hosted by several Sci Fi and Fantasy authors along with their guests, they’ll be talking about characterization all year. Joanna Penn conducts great interviews covering a variety of topics relating to self-publishing and promoting your books as an Indie Author. Podcast episodes are posted every Monday and include interviews, inspiration and information on writing and creativity, publishing options, book marketing and creative entrepreneurship. At episode #361 this week, she has an extensive backlist of interviews covering every topic you can imagine relating to the business. Well worth your time. Sell More Books Show keeps me informed about the top news stories relating to the book industry. This is a weekly podcast focusing on helping new and experienced authors stay up-to-date with the latest self-publishing and indie news, tools and book selling/marketing strategies. The two hosts discuss and report, plus their easy-going, humorous banter makes this a fun listen. Maybe you can find a few minutes in the day to tune in while you’re working out, folding laundry, loading the dishwasher, driving to the day job. As publishing professionals every bit of knowledge inspires, teaches, and guides us to become better at what we do. 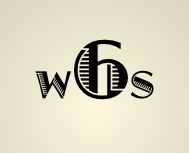 Thanks for following WordsmithSix! This week, the literary device I would like to mention is: euphony. It is defined as the use of words or phrases that sound pleasant together. As individuals, our tastes in word choice and what sounds “nice” are obviously varied, but it is possible to piece together phrases that most readers would enjoy. As you would expect, euphony is most commonly seen in poetry, lyrical works, and literary prose. The website literary-devices.com mentions that the phrase “cellar door” is often credited as the most pleasant-sounding phrase in the English language. I guess it is the combination of phonetic sounds that sets it apart. Euphony is the direct opposite of cacophony, which is the use of words or sounds in phrases that clash and sound unpleasant. I hope this device helps you in your work! Happy writing!